My large urban district, rarely, actually almost never calls a snow day. The plowing teams are terrific, we don't have any rural schools, and our parents, mostly working poor, depend on us not only to educate their children, but also to care for them during the day, and feed them breakfast and lunch. 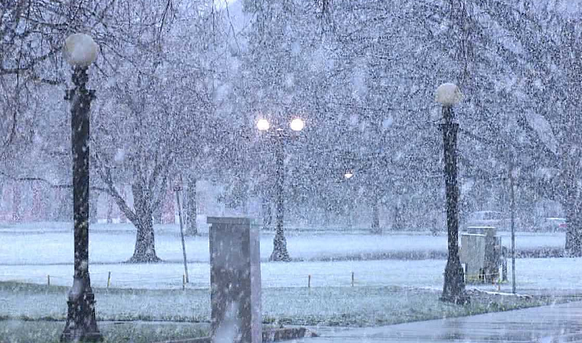 "Anatomy of a snowy morning"
Zealous early birds do not always catch the worm. Every week, people from all over the world meet at Ruth Ayres' place to celebrate happenings from their week. Usually I don't get my act together to celebrate, but yesterday I was invited to a huge celebration. 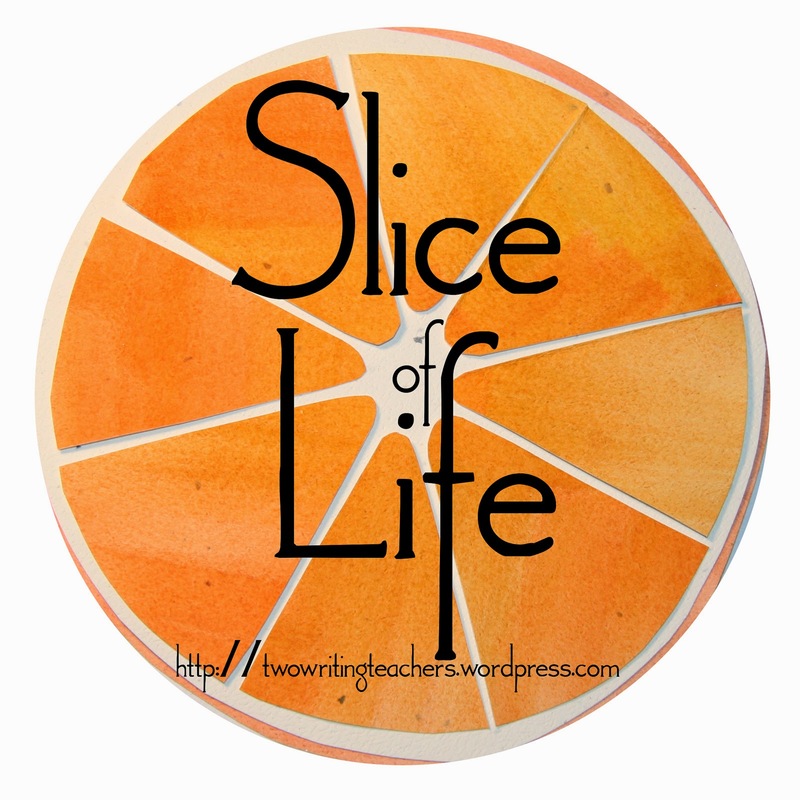 In this age where rigor too often seems synonymous with ridiculously difficult, and where engagement is forgotten way too often, there are still teachers who continue to do amazing work, and I just felt like this needed to be shared. 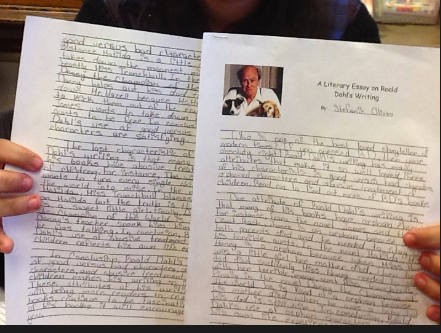 In my district, each grade level does an author study. 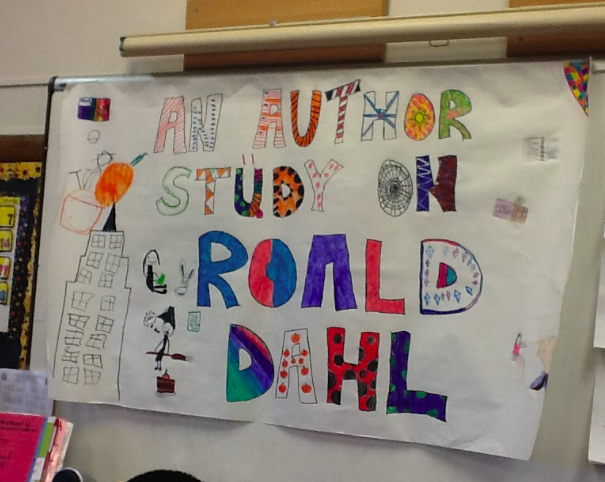 The fifth grade author is Roald Dahl, and for the past six weeks, our students have immersed themselves in his work. 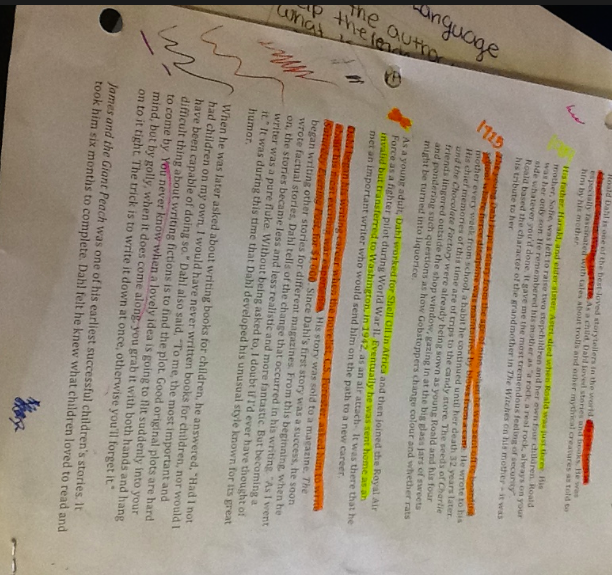 I recognize that some people do not believe in asking all students to study the same author, but that's part of our district curriculum, and we work really hard to make it meaningful and engaging for students. A banner welcomed the fourth graders to the fifth classroom. and a five paragraph literary analysis essay. 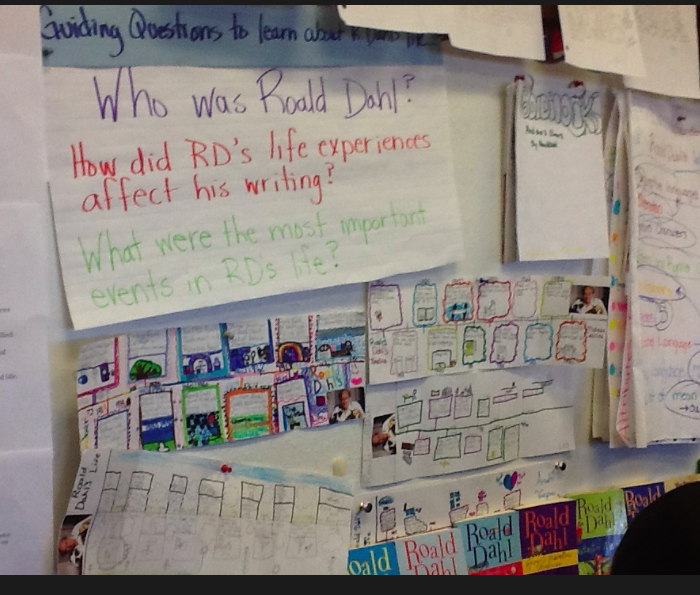 Close reading of Roald Dahl biography. Sorry it's sideways! 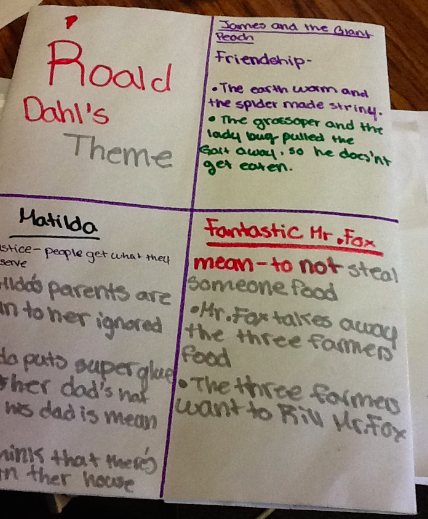 Students compared two of Dahl's books to begin to identify commonalities. 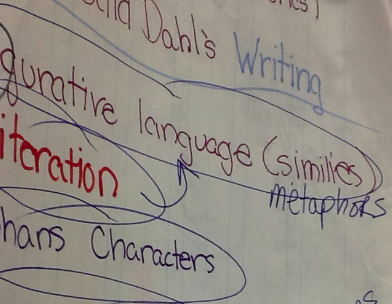 They then used these characteristics to track the commonalities across other Dahl books. I'm not sure if you can read it but the boxes outlined in pink are related to language, those related to blue are related to plot. 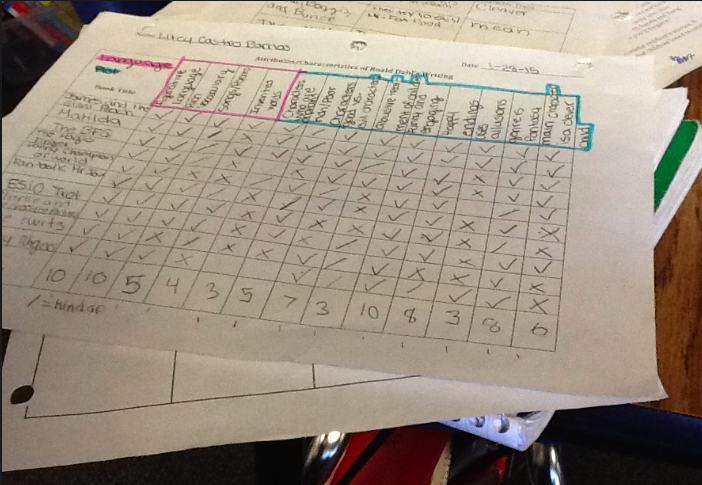 Book titles are listed down the left side, then students rated each book with a plus, check, or slash to indicate the presence of a particular characteristic. 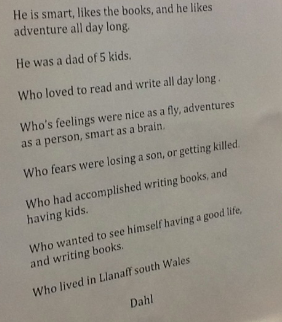 They totaled the columns to decide whether a characteristic always, usually, occasionally, or rarely appears in Dahl's books. and cited the evidence that led them to draw their conclusions. 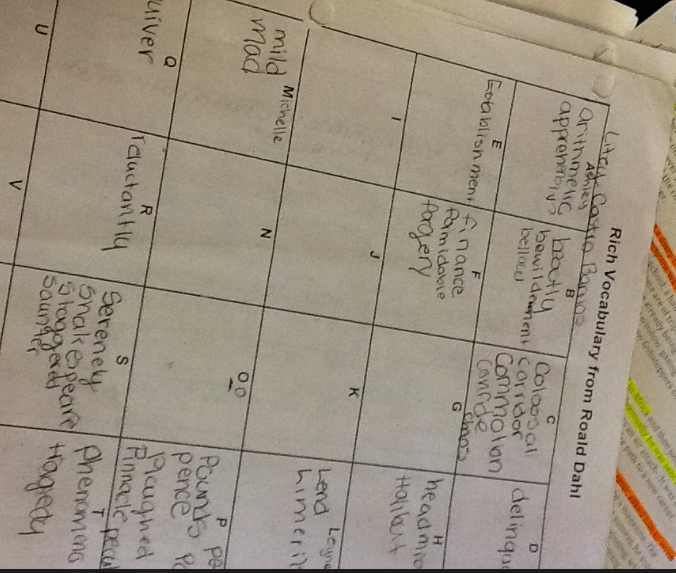 Students used Alphaboxes to gather interesting vocabulary. 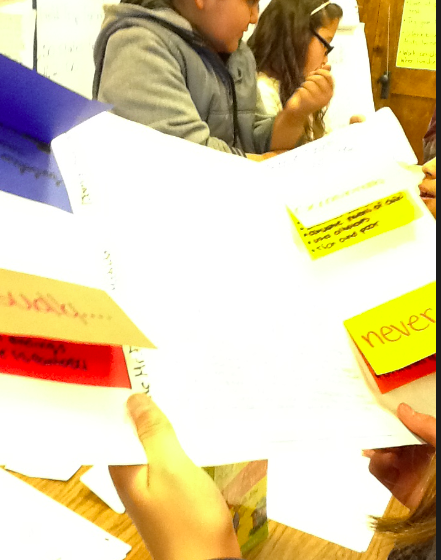 Finally, they wrote and revised five paragraph literary analysis essays. 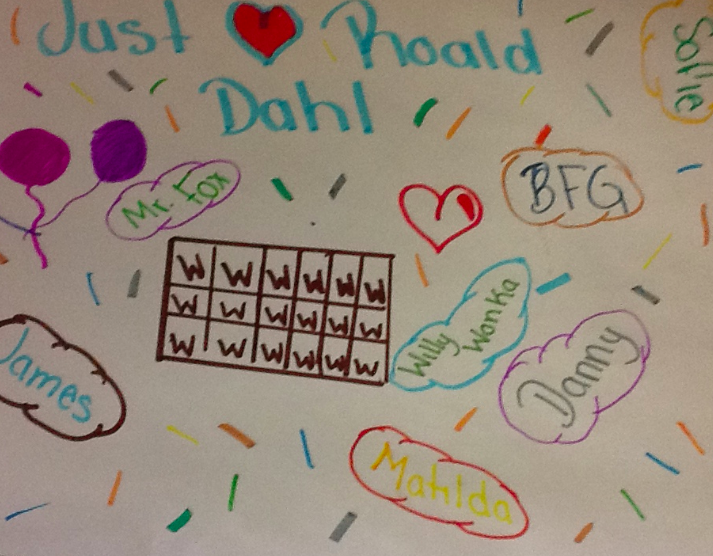 Our kids just LOVE Roald Dahl. Head over to Ruth Ayres blog for lots more celebrations. There's nothing I like better than a good dog story. I found two at the library today. Both of these would be just plain great read alouds for younger kids, but could also be used to teach point of view to intermediate or middle school readers. 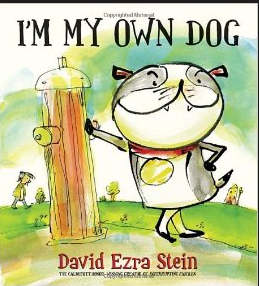 The narrator of this story is a dog. A very independent dog. He fetches his own slippers, curls up at his own feet, and wouldn't sit if someone told him, even if there was a bone involved. He throws his own sticks for fetching, and tells himself he is a good dog. Except one day he needs a spot on his back scratched. And then the guy follows him home. So he as to get him a leash. And teach him commands. And clean up the ice cream he spills. Perfect for any dog owner! Charlie does not like going to school. On Sunday nights, his stomach does flip-flops and he can't fall asleep. "You're lucky you don't have to go to school," Charlie tells tells his dog, Norman. The next morning, when Charlies wakes up, he and Norman the Dog have switched roles. 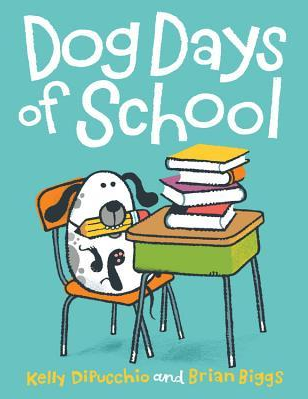 Norman goes to school all week- he makes a clay sculpture, plays the maracas, goes on a field trip, and even eats a triple hot fudge banana sundae with extra whipped cream. Charlie stays home-- drinking out of the toilet, learning how not to play fetch (with a skunk) and visiting the groomer. 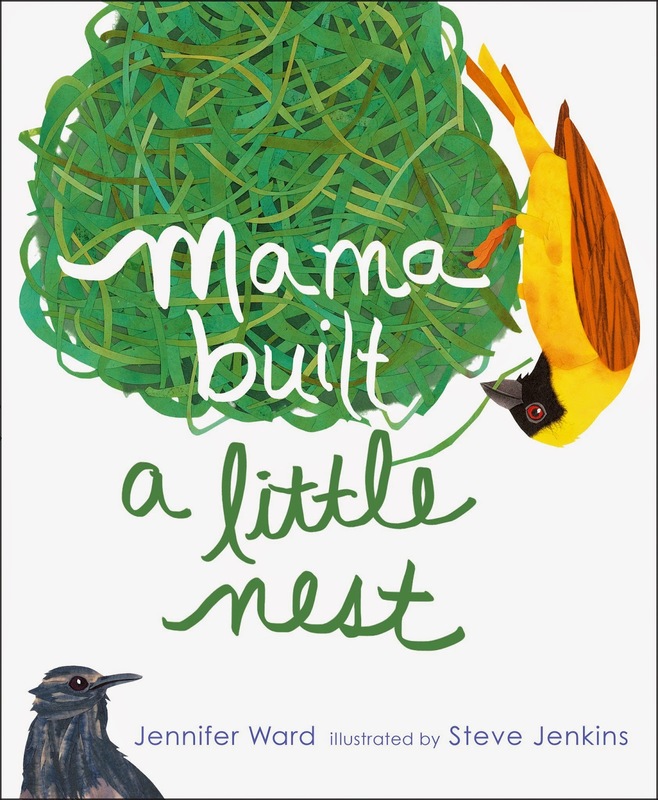 A really fun role reversal book. 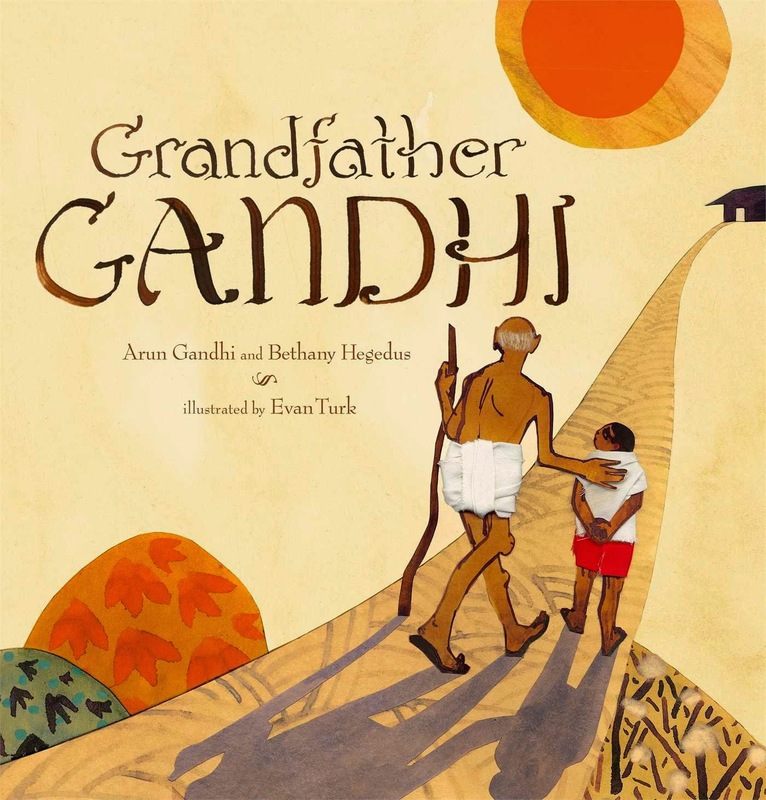 Also a terrificback-to-school read aloud! 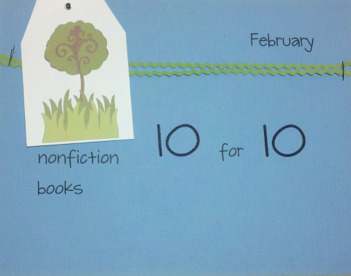 Today is one of my all-time favorite days of the year- Nonfiction Picture Books 10 for 10. Thanks to Cathy Mere and Mandy Robek for inventing this fabulous (and very expensive) event. 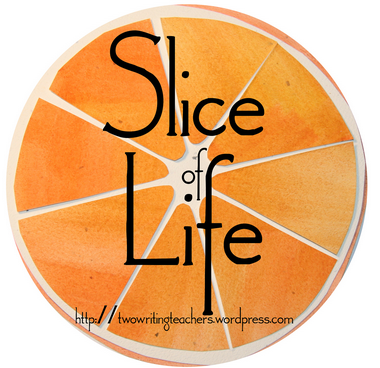 You can read all of the NF 10 for 10 posts here. Apparently I missed the boat last summer, because I did nonfiction picture books during the Picture Book Ten for Ten last summer too. Oops! 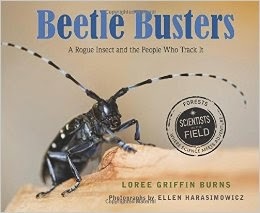 Oh well, you can never have too many nonfiction picture books in your collection, right? 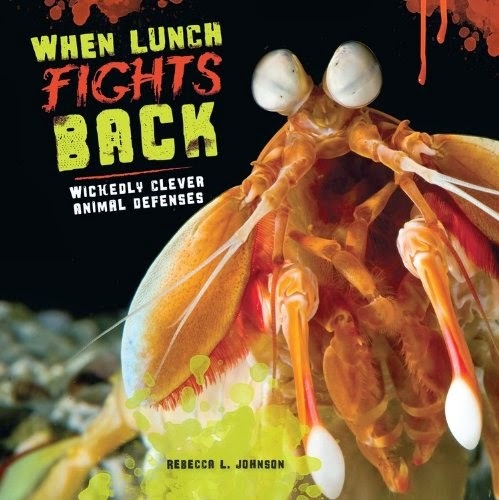 Anyway, I served as a CYBILS judge on the elementary nonfiction committee this fall, and had the privilege of reading 108 fabulous new nonfiction picture books. Almost all of these are from that list. 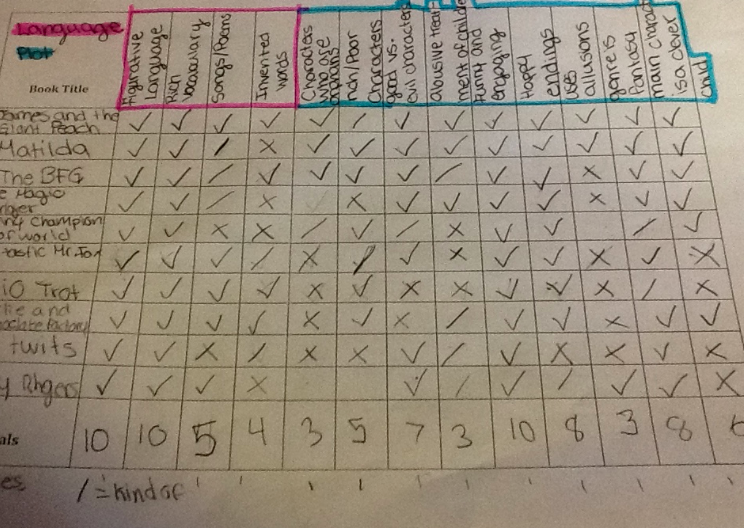 Many of them I have reviewed on my blog, I tried to link those to the more complete reviews. 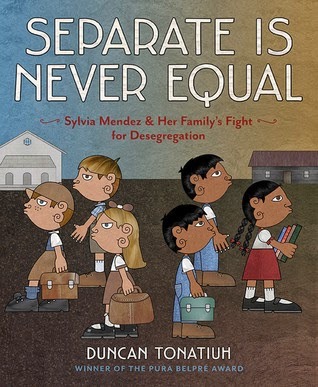 Everyone knows about Ruby Bridges, not nearly as many know Sylvia Mendez who paved the way for Hispanic children in California approximately ten years before Bridges. 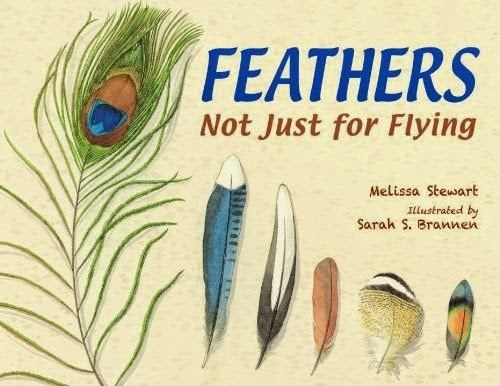 I love FEATHERS: NOT JUST FOR FLYING, the book that won the CYBILS this year, but SEPARATE was my personal CYBILS winner. Each page in this book could pretty much be its own stand-alone spread. I lent this one to a sixth grade teacher at our school and don't think I'll ever see it again. This was my, "Darn it, I really wanted it to make the finals list for the CYBILS," this year. 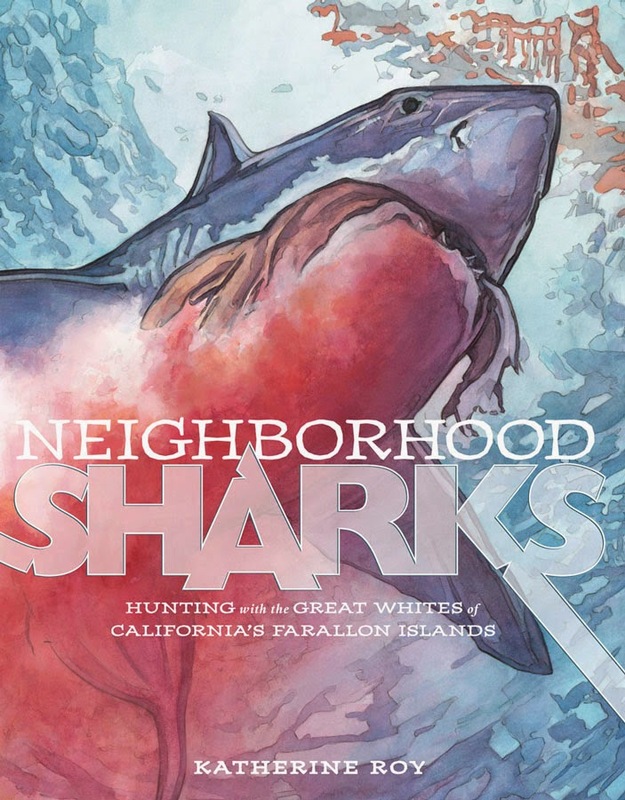 SHARKS is Roy's first picture book, and it's a really unique blend of picture book, and heavier text pages. 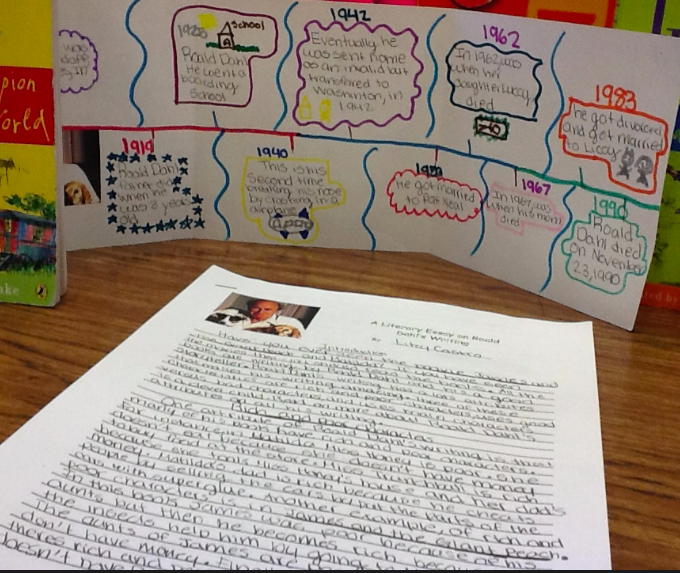 Her diagrams are perfect for a nonfiction text features lesson. This one the CYBILS this year. Beautiful, beautiful language (perfect for any mini-lesson on how writers use language, and lovely nature journal-like illustrations). I pretty much love any book in the SCIENTISTS IN THE FIELD series. This year there has been a bumper crop. Gross photographs, fascinating factual information, terrific format! 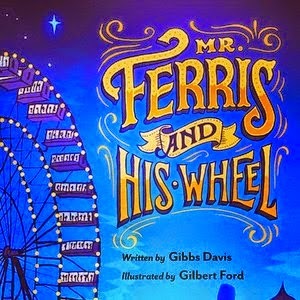 Biography about the inventor of the ferris wheel. 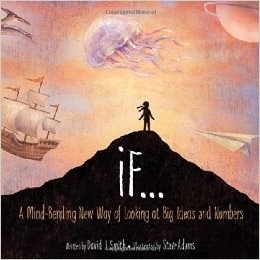 Perfect for a unit on inventors or on perseverance! The power of narrative! I love the quotes about how people can use anger to bring good or to destroy. I copied them down in my journal and have shared them more than once. The illustrations in this one are fabulous! Had to include my favorite Colorado nonfiction illustrator on the list somewhere! Jennifer Ward's text and Jenkin's illustrations are a terrific combination. I couldn't have a nonfiction list without at least one poetry selection, and no one does it better than Laura Purdie Salas. 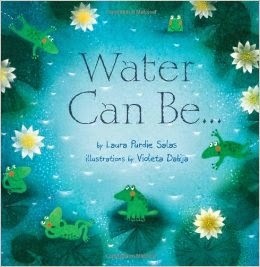 This book is actually part of a series, there are two more- A Leaf Can Be has been out for a year or two and A Rock Can Be will come out in March. I cannot believe it when I get the call. "Miss Carol, can I sing you a silly song?" than any other kid on the team. as he slept at his own. as he sorted cans into the pantry. from the jeers of the crowd. I was making a quick dash through the exhibit hall at our state reading convention last Friday when I came across a game for poetry lovers. I didn't have the opportunity to play it, but it looked like it would be perfect for a Poetry or Game Station, or indoor recess, or family game night. Haiku You! is made up of a few syllables on little cards with a brief score sheet, a tiny timer and a teeny pencil in a small tin box. But the big game is found in the limitless imagination and startling creativity of the players – often in the ones who are sure they have neither. 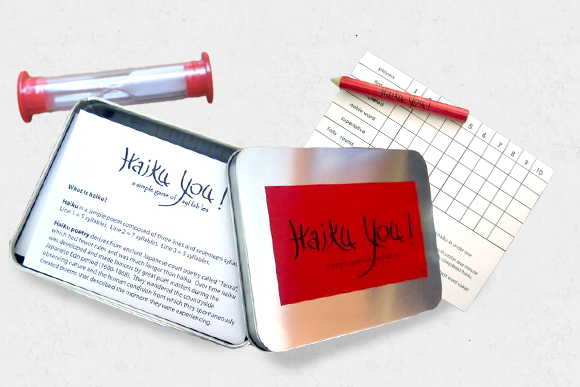 Simple, easy and constantly surprising, Haiku You! reveals the bold, competitive, soulful and occasionally quirky qualities of your friends and families – and possibly of you. 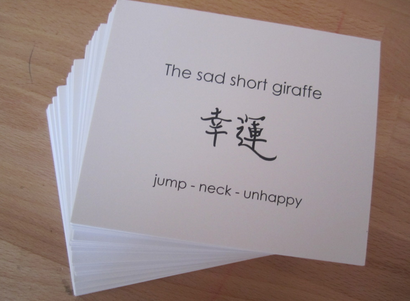 Objective: Correctly construct a haiku in under one minute based on the first line which is provided on a “Haiku You!” game card. Each player competes for points based on speed, accuracy, creativity and use of the secret words, called “noble” words printed at the bottom of the “Haiku You!” game card. The game ends when a player is the first to score 500 pts. or when all players have had a chance to be“Haiku Master”. The Haiku You website is here. Cathy Mere is hosting Poetry Friday today! 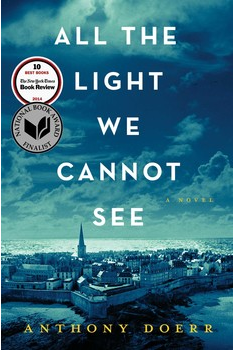 ALL THE LIGHT WE CANNOT SEE is my latest adult read. ALL THE LIGHT is the story of two characters, a little French girl, Marie Laure, and a German boy, Werner. Marie Laure lives with her father, who is a locksmith at the Museum of Natural History in France. Marie-Laure is blind, and her father has built a tiny village, totally to scale, so that she can memorize, then traverse her neighborhood. When Paris is occupied by the Nazis, Marie-Laure and her father travel to the seaside town of Saint Malo to live with an uncle, whose own WWI experiences have left him an agoraphobic. Marie-Laure's father carries a valuable gem, a treasure given to him by the museum to protect. Far away, Werner is an orphan, growing up with a younger sister in Nazi Germany. Their father was killed in a mining accident, and the two siblings live in a kind of foster home. Werner is fascinated by electronic devices and becomes an expert at repairing and transmitting messages by radios. These skills lead him to a place in the Hitler Youth. Werner's job is to use the radio to ferret out nationalists who are transmitting messages for their countries, a job which he likes less and less. Doerr's crafting of the book is pretty much genius. When the story opens, both Marie-Laure and Werner are in the war-torn town of Saint Malo in France. Doerr then takes the reader back in time, alternating chapters of Marie-Laure and Werner. Throughout the book, the reader knows that somehow the two characters paths are going to cross, but it's hard to imagine when or where that intersection might occur. I devoured the book the first time for the story, which I totally loved. It's probably geeky, but this weekend I'm planning on reading the book again, this time to pay more attention to how Doerr crafted the book, because his use of time, and his back and forth between the characters is pretty much amazing. I'm going to be taking lots of notes because we have book club next weekend and I want to be prepared. This is also one of the those books with lots of really powerful lines, the kind you copy down and think about for a long, long time. ALL THE LIGHT is a long one (544 pages!) but it's well worth the read! Last weekend I attended our state's annual reading conference, which was, as always, fabulous. Kelly Gallagher, author of READICIDE and WRITE LIKE THIS (among others) gave two of my favorite sessions. He talked about upping the volume of kids' writing by having them do lots and lots of quick "writing sneezes" andshared several of these "sneezes," including some where he and his students experimented with other author's styles. One sample was a paragraph from THE GOLDFINCH by Donna Tartt. That book has been on my adult TBR list for a while but I haven't read it yet. I was intrigued by Tartt's style (I don't know if the whole book is written this way- YIKES!) and played around with it when I wrote my slice this week. and there is almost no one there when drive up and i wonder how to comfort this sweet young woman a former mentee whose mother her only family has died of pancreatic cancer and then more people come and by the time the actual service starts over one hundred friends and colleagues are there to honor this single mom it is a night of stories laughter and tears and brave sara only child gives the eulogy for her mother and we hug and cry and i come home and collapse on the couch and talk to my mom on the phone and tell her of course i am not too tired and i will definitely be there tomorrow to take her to lunch and the grocery store. KATE AND PIPPIN: AN UNLIKELY LOVE STORY is the winner of this year's Colorado Children's Book Award. Books for this award are nominated, then voted on by the children of Colorado. I'm often surprised by the book that they choose. 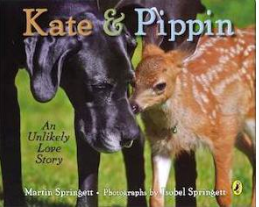 KATE AND PIPPIN is the story of a fawn who was abandoned at birth. Isobel Springett, a professional photographer, discovered the fawn on her farm on Vancouver Island. 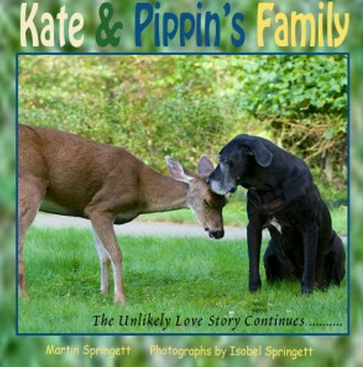 Pippin was immediately adopted by Isobel's Great Dane, Kate. Over the next several years, Isobel used her camera to capture their friendship. Her photographs could easily be a wordless picture book. KATE AND PIPPIN have a website. So many stories waiting to be told. puts up a new bulletin board. Memories of their time at our school. "What will you be remembered for?" the music teacher asks. on the paper hanging beneath his picture. thinks no one will remember him. He has stories waiting to be told. and the upcoming soccer season. and I ask if he will be playing. No, he says, that's baseball season. "Do you play baseball?" I ask. and the smile extends ear to ear. passing out cell phones after school. comes to pick up his phone. I ask if he has any plans for the weekend. "I'm gonna go with my dad," he says. and then we go to a church and sell it in the parking lot. We do it every weekend. At least one hundred pieces." but we do this on the weekend. I watch her at the basketball game. An eighth grader. New last year. Sweet. Quiet. Absent a lot. who plays on the basketball team. Today she has come to cheer for her best friend. on the stage at the end of the gym. no one invites her to sit with them. No one calls her over. She has stories waiting to be told. She comes to find me every day at lunch recess. A big girl. Almost six feet. Probably over two hundred pounds. Slow thinking. Slower talking. No friends. "Miss," she says shyly. "Do you like crafts?" I laugh. "I'm not very good at that kind of stuff," I say. "I love them," she says. "You do? You'll have to bring something to show me." A few days later she brings a handful of rubber band art. "A dollar apiece," she says. And we become fast friends.